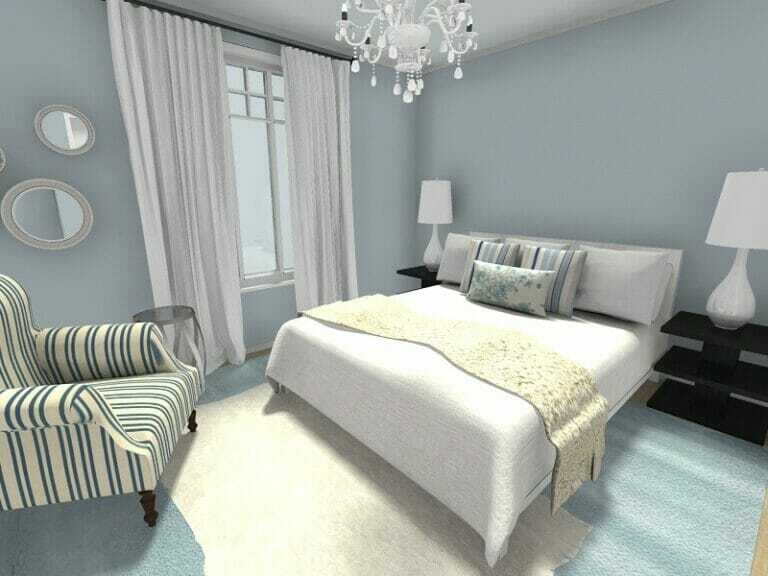 With RoomSketcher it’s easy to plan and visualize your bedroom ideas. 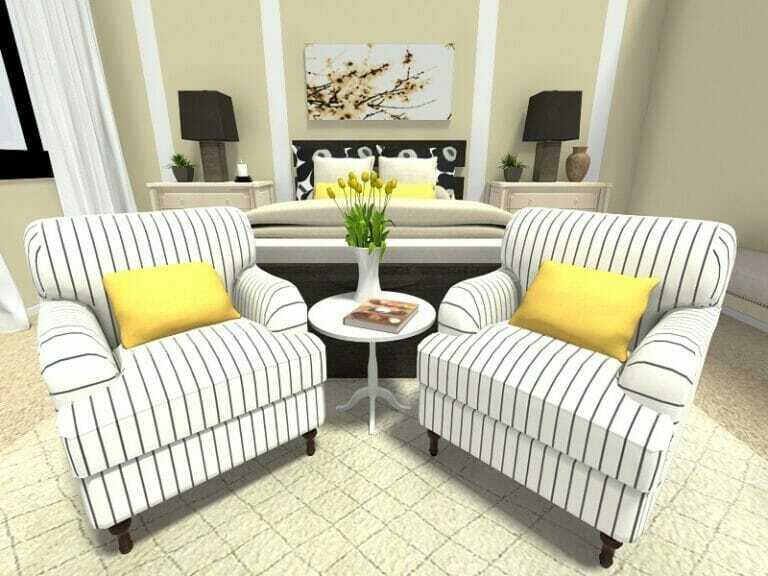 Create your floor plan, furnish and decorate, then visualize in 3D, all online! 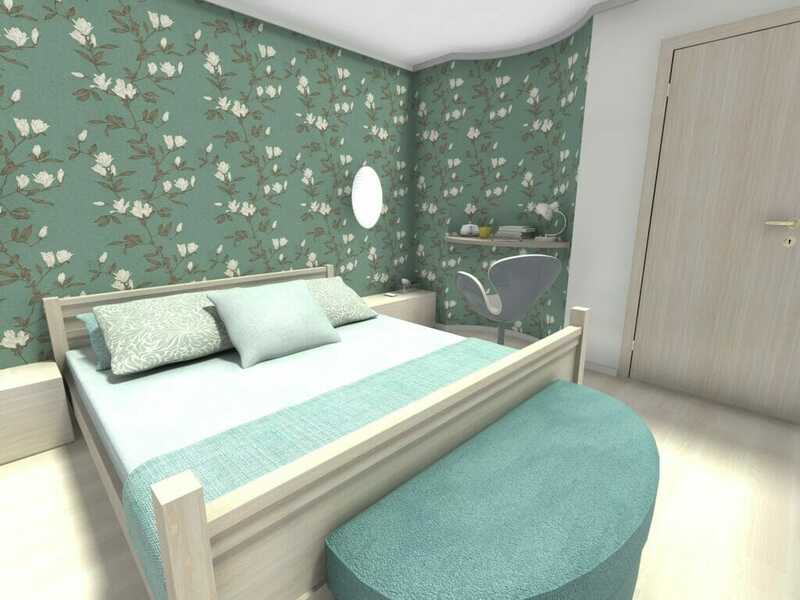 Looking for some bedroom ideas to help you layout your room, give it a fresh new look or even to plan a remodel? Below you’ll find some of our favorite bedroom ideas. We’ll show you how to work with awkward room layouts, solve common furnishing issues and how to update your bedroom design. If you have a platform bed, create custom headboard by simply applying a material to the wall behind the bed. In the bedroom below, we applied a wood paneling to the wall behind the bed to create a custom headboard. 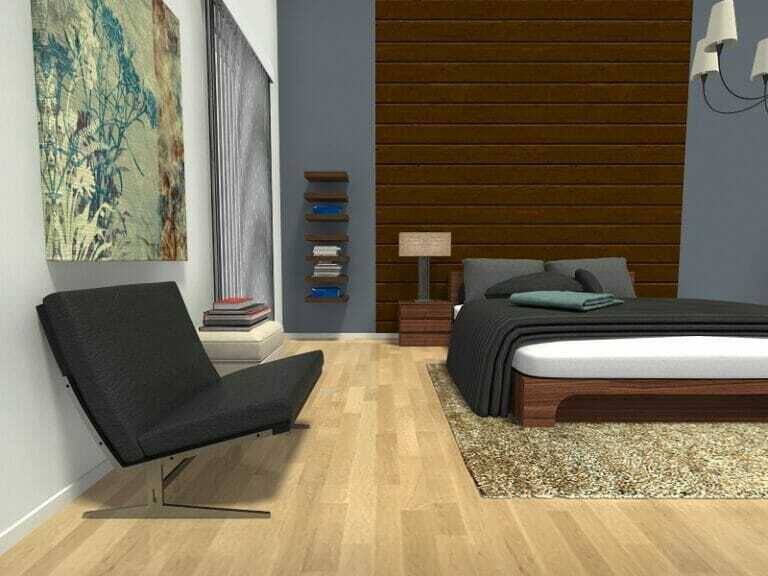 The dark stained wood finish complements the platform bed color and ties it and the nightstands together visually. You can make your headboard the full height of the wall or stop it part way up. To determine the minimum height for your headboard, prop up your pillows and measure 6”-8” (15-20 cm) above that. 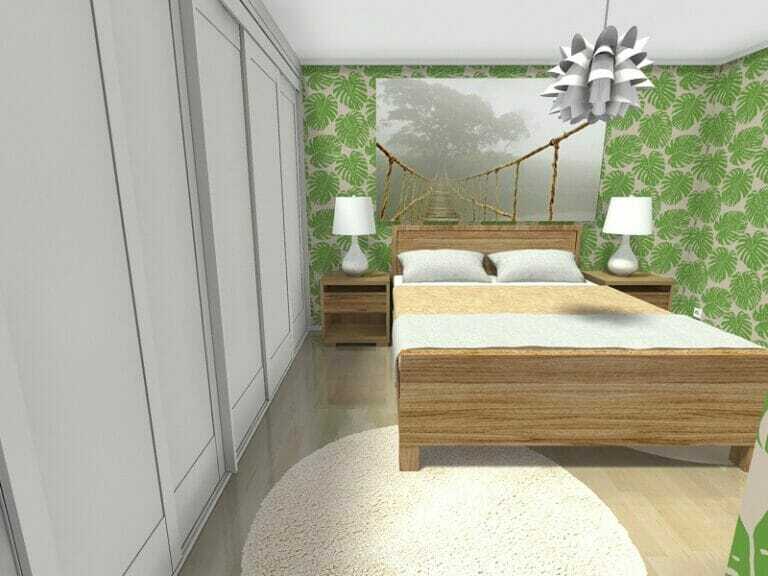 These bedroom ideas were created with RoomSketcher. 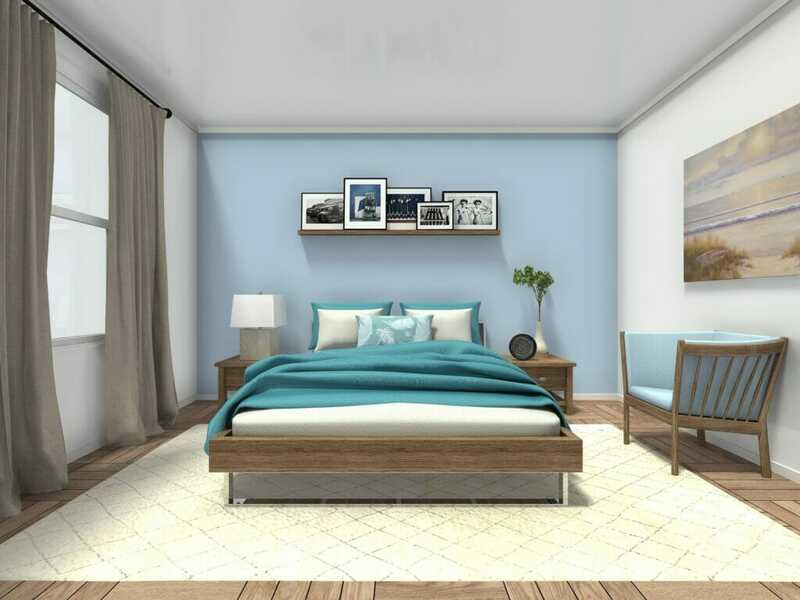 You can use this easy-to-use online home design software to plan and visualize your own bedroom ideas!